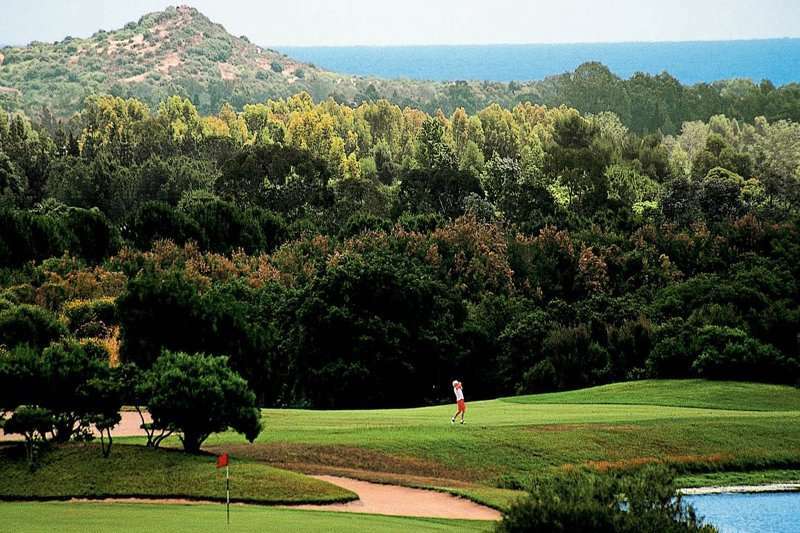 The 4-star Is Molas Golf Resort, located on the outskirts of Pula, is a spectacular resort offering a vast range of facilities and wonderful views over the sea and nearby mountains. 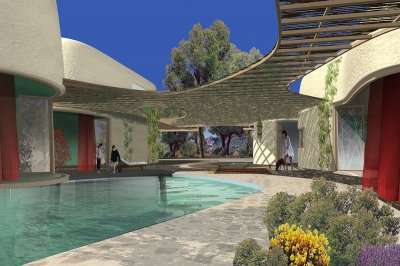 The resort is located in a prime position; offering its guests the benefits of a natural setting, whilst still being just a 20 minutes’ drive from the centre of Cagliari. Guests at the Is Molas Golf Resort can indulge in total relaxation in this stunning coastal location, whilst still being able to explore some of Sardinia’s key attractions and historical sites. Just a 20-minute drive away from Cagliari, Sardinia’s capital city, visitors can enjoy many fantastic excursions with ease. To truly experience this captivating and culturally rich city, a Segway tour makes the obvious choice, and you can have loads of fun whilst doing it! Possibly the best attraction in Cagilari would have to be the Cathedral, which dates back to the 1200s and features beautiful ancient interior, and captivating tombs. 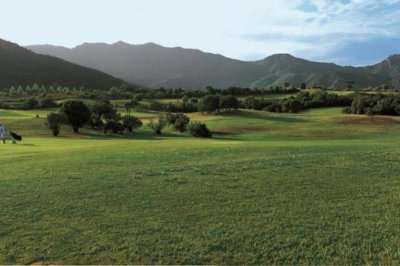 Conveniently for golfers, the Is Molas Golf Resort neighbours a fantastic golf course, the Is Molas Golf Club. This renowned championship standard course offers 27 holes in a panoramic setting, offering great playability and a tricky round. 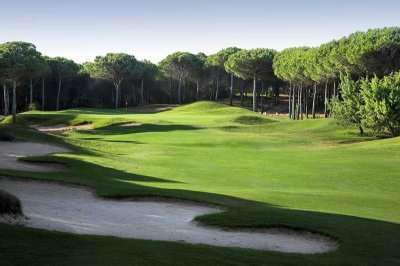 This prestigious course which is popular with the Italian citizens has hosted the Italian Open on 4 separate occasions; a true testament to its excellent quality and the invigorating challenge it bears. Each of the 84 elegant bedrooms feature modern essentials including air conditioning, satellite TV and complimentary Wi-Fi. Other amenities include a well-stocked minibar, walk-in wardrobe, telephone and safe. 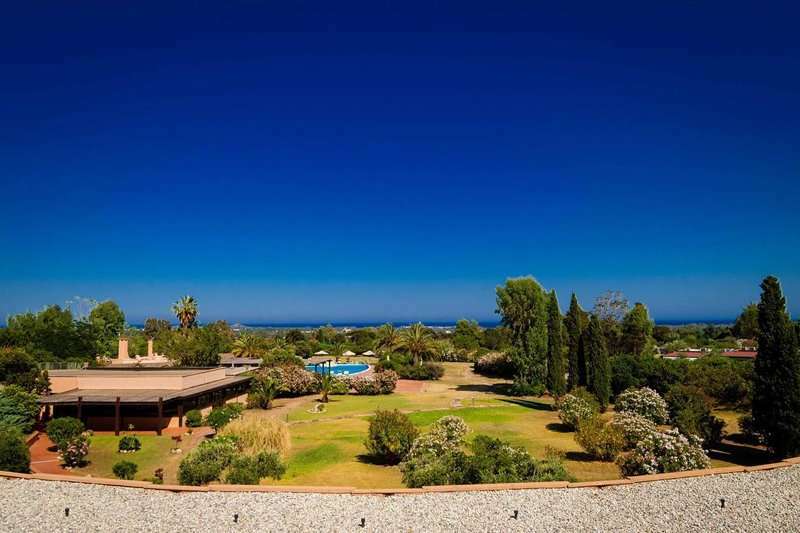 Guests at the Is Molas Golf Resort are truly able to appreciate the superb views of the estate and surrounding area on their own private balcony or terrace. 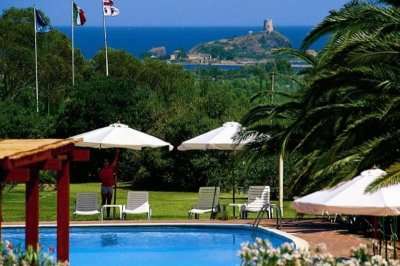 The resort is host to its very own private beach where you can enjoy the array of water sports on offer or simply relax in the Sardinian sun after combating the fairways at the Is Molas Golf Course. Conveniently the hotel offers a complimentary shuttle service during the summer months. Other leisure facilities at this hotel include two outdoor swimming pools and tennis courts to keep fit when not challenging the fairways. The drinking and dining options at this hotel are excellent, and include two restaurants and two bars, giving you plenty of options to unwind and enjoy a delicious meal and a refreshing beverage. 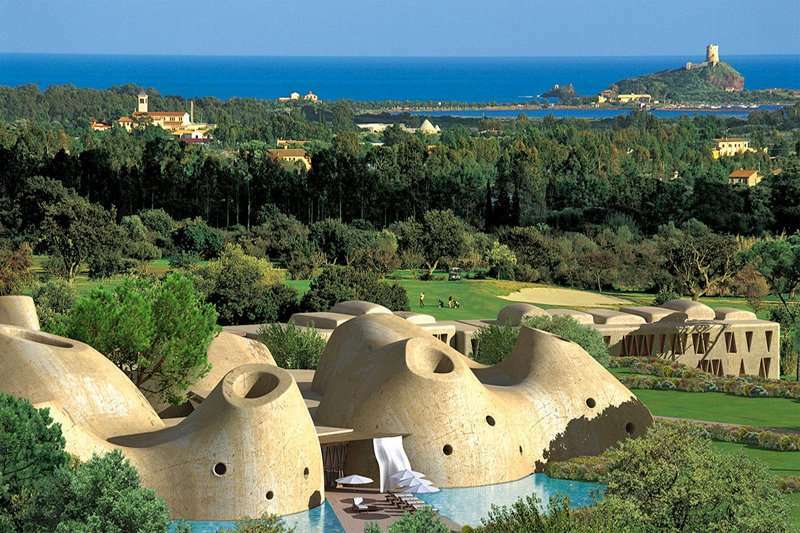 The Le Mole restaurant specialises in offering guests a true taste of Mediterranean cuisine, whereas the Le Ginestre restaurant offers a daily breakfast buffet as well as an evening service. 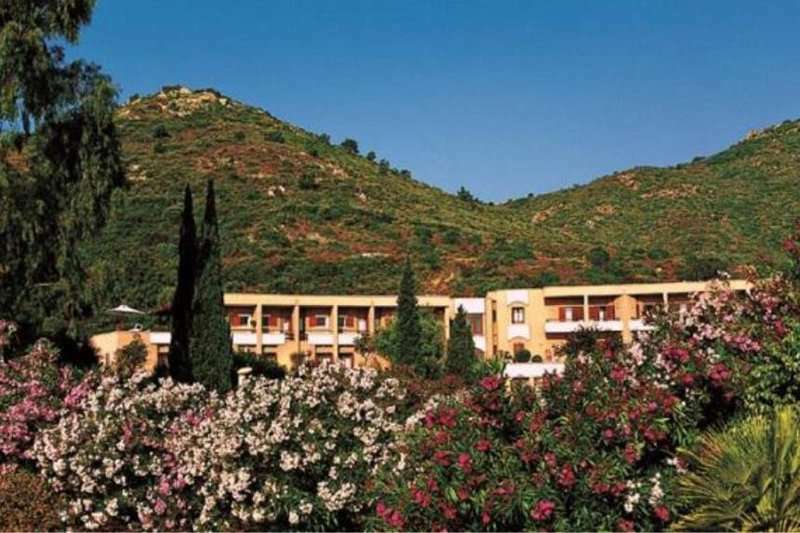 With several fantastic facilities and impeccable service, the Is Molas Golf Resort makes a great option for a relaxing golf holiday in the Sardinian Hills.